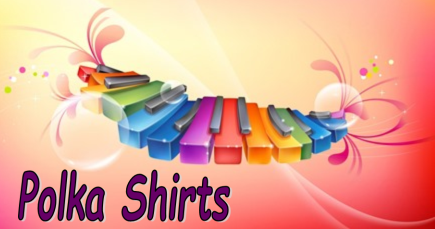 We offer a wide variety of traditional polka style T-Shirts, as well as some not-so-traditional and off the wall styles. Please, browse our site. We hope you will find something that catches your eye. If you have a design idea and would like to share with us, check out our FAQ section for the design specifications or email us your ideas to: PolkaShirts1@outlook.com. We'll do our best to create something that works for you.